Product Website: Click Here To Buy The Book Now! This is one of our Amazon Book Reviews on how to quit smoking book: Allen Carr’s Easy Way to Stop Smoking. 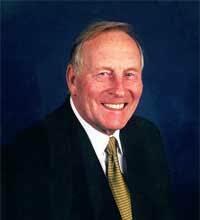 Allen Carr started smoking while doing military service at age of 18. He smoked 100 cigarettes a day until he gave up at age of 48. This was happened after a visit to a hypnotherapist. It wasn’t the hypnotherapy that enabled him to quit. It was two critical facts that facilitate Allen to successfully quit smoking. First, he realized that he was a nicotine addict, which he had never perceived before that moment. Second, he also realized that the physical withdrawal from nicotine is just like an “empty, insecure feeling”. With these two realizations crystallized in his mind, he established techniques to overcome the addiction and to prevent nicotine withdrawal symptoms. The book was published in 1985, but its methods help people find hope along their journey even today. As of 2018, it has sold more than 20 million copies around the world. This book encourages its readers to understand that smoking is an addiction and smoking is a mean of treating the withdrawal symptoms. Smokers do not receive a boost from smoking a cigarette, and that smoking only relieves the withdrawal symptoms from the previous cigarette, which in turn creates more withdrawal symptoms once it is finished. In this way the drug addiction perpetuates itself. The withdrawal symptoms are created by doubt and fear in the mind of smoker, and therefore that stopping smoking is not as traumatic as is commonly assumed, if that doubt and fear can be removed. Ensure that smokers understand the mechanism of “the nicotine trap” and removal of their doubts and fears of quitting smoking. Encourage smokers to think of the act of quitting, not as giving up, but as “escaping”. It does not spend time focusing on points of dangers which many already know. It, instead, offers an extended and direct centralization on physical addiction, and mental dependency. Allen Carr set up his first clinic after quitting smoking in 1983. There are about 120 quit smoking clinics in the world. In the US, there are four clinics located in the following locations: Denver, Colorado; Los Angeles, California; New York, New York: and Racine, WI. The regular paid quit smoking seminars are run in the quit smoking clinics. My name is Max. I had been a smoker for over 35 years. From the early 70’s while in the Air Force until recently of 25+ years of being a professional driver. It was many years of ‘wanting & trying to quit’. Here’s my story. In 2007 For my birthday, a lady friend gave me an Allen Carr book “Easy way to quit smoking”. At the time, I was an over the road trucker, and I had NO ONE to tell me NO SMOKING! Actually, many truckers are high stressed & use the deadly cigarettes as a crutch and a friend to be their co-pilots on the road. After reading a few pages of the book here & there, though every word I read made sense to quit. I put the book into my storage locker & never read it again. Until 2011 when I settled down permanently in Las Vegas as a cab driver (& chain-smoking of course). Fast forward to my birthday; Oct. 2011 I became less stressed, more at peace and thought it to be a good time to remove some of my lethal habits (this is Las Vegas, LoL). I remembered the ‘Easy Way’ book & sent away to Amazon for a copy. Fortunately, I purchased the pictorial version this time. Which I loved it’s simplicity to read, comical cartoon pictures and shorter to the point edition. It was after reading the book TWICE while behind the wheel of my Taxi cab (yes still puffing away) that it occurred to me that I could do this. So after purchasing a $100 Vape set that I had been toying around with, I think I was ready for the leap. It was on Nov. 11, 2011 that I took a non-smoking/drinking date to the movies & afterward she decided to go home. I thought to myself this was the perfect night to go for quitting smoking! Armed with all the tools to quit; Less stressed, I had prayed on it, I’d bought a vape in case of emergency (last “hits” that ALWAYS come around). Also, I had read the most mind-blowing book that totally rewired my mind, body & spirit about consuming the killer daily. It was almost 11 PM and I made the decision to smoke my LAST cigarette for good!!! AT LAST… I WAS FREE!!!! The next ensuing days, of course the urges of smoking came along to tap me on the shoulder, push me into the store for a ‘last pack’, and even had me thinking of just bumming one off a friend. NOPE, NOT, NADA!!! The vape took the place for a week or so, then I tossed it because it burned my throat regularly. That’s it, that’s my story, after 35 years of smoking, and years of trying to quit, and serving the monster, doling out the money blindly… I finally had control of that killer habit. #1 Prayer, #2 Allen Carr’s book & #3 a few other stinky reasons, I had climbed outta that pit forever! I’m so proud & thankful I read that little book, Now I want to write my whole story into a book & help others like Allen did LOL. Allen Carr’s Easy Way to Stop Smoking has been a #1 bestseller in many countries with over 20 million copies sold. This seminal book has enabled millions of smokers to quit smoking easily and enjoyably using the simple, drug-free approach. It will certainly help you quit smoking. 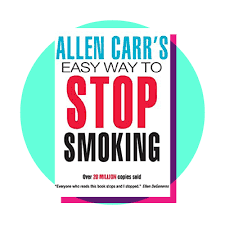 Purchase Allen Carr’s Easy Way to Stop Smoking Now! Sounds like a great book. I have been trying to get my sister to quit smoking for years. With 20 million copies sold, it is a great indication of the books value. Allen Carr’s Easy Way to Stop Smoking is one the best quit smoking book. I can see that you are a caring sister. There is a free ebook on smoking and quit smoking and it is a good reference on quit smoking methods and alternative smoking: https://rebrandsmoking.com/free-ebook-on-smoking-and-quit-smoking. Good luck with your sister’s quit smoking. Not only Allen Carr you are also doing a Great service through this website. “Given that I am informed that I have cured at least 10 million smokers on a conservative estimation, it’s a price worth paying.” This is really an amazing accomplishment. Thank you very much for your supports. Smoking affects everyone and it is everyone’s duty to broadcast the danger of smoking, so that we could reach smokeless world as early as possible. Smokers nowadays have so many choices and It is possible to enjoy the high from nicotine without the thousands toxins and carcinogens. Yes we can, if we we all work together. “Smoking affects everyone and it is everyone’s duty to broadcast the danger of smoking” Yes indeed. Yes, we can bring the change! This sounds like a great book. I appreciate you work for putting this together. It’s nice to see a website dedicated to helping people to quit smoking. Smoking is an addiction and is hard to just go cold turkey. I have friends that are heavy smokers who tried to quit but can’t. I will definitely recommend this book to them. Thank you for sharing this valuable information. Keep up with the good work. Thanks for your comments and your caring for your friends. Allen Carr’s Easy Way to Stop Smoking is one the best quit smoking book. I can see that you are concerned about your smoking friends. There is a free ebook on smoking and quit smoking and it is a good reference on quit smoking methods and alternative smoking: https://rebrandsmoking.com/free-ebook-on-smoking-and-quit-smoking. My mother, after she and my father had been smokers for many, many years, developed emphysema and ultimately passed away from the affects of this lung disease and the damage it does to the body. I never smoked a day in my life, but one sister and my son both smoke. They both need this book by Allen Carr. After reading your review, Anthony, I will highly recommend this book to anyone who is addicted to cigarettes. Thank you for the concise and well-written review. Thank you very much for sharing your personal experience with us. You have the first hand experience on how smoking affect people’s health. I wish your sister and son could read this book and learn some techniques to quit smoking. If they could not quit tobacco smoking, I suggest them to use healthier alternatives, such as electronic cigarettes. Good luck with your sister and son’s quitting smoking. Very interesting book and story to go with it. Yes, quitting any habit can be a challenge. It goes without saying that your inner mindset along with your own ‘support team’ should be able to help you make the transition. All be it, it might take some time, but you have to be determined to make it work. Your health depends on it. This is indeed going to be a very good book that will help as many as possible to quit smoking and break FREE from this bad habit that keep them under stress and even having some bad impact on their health. I know very well that smoking is an addiction and that quitting is not an easy thing, even though it is bad to the health of those who smoke. But I think it will be worth it and will be of much help to all smokers if they put in the effort to quit. Thanks for sharing this useful article. I know many smokers will benefit from it. Thanks for your supports. It is one the best quit smoking book, written by a Chain smoker who had the first hand experience. It provide guide in every step of the way to quit smoking. You are right that addiction to nicotine is one the most difficult addiction and needs special attention to deal with nicotine withdrawal symptoms, which is described in detail within this book. I think this will really help me… To be honest, I am not a huge smoker.. but there are times when I do have a cigarette..
To be honest, when I am at work I want one, but if i am off work for 2 weeks, I do not have one at all the whole time. I do not understand that, and maybe this book could shed some light? Yes, this book may help you. One of the major reason that people smoke is stress. Work or the other stress situation may remind you to use smoking to relax a little bit. Find ways to deal with the stress situation, for example, talk to your close friend and ask for advice. Good luck with your quit smoking efforts and you are almost there.